Rarely do uterine fibroids cause severe pain but it can and when it does it is most likely related to fibroid death due to lack of nutrients and blood supply. Hormones: estrogen and progesterone can promote the growth of fibroids. Race: African-American women are more likely to develop hormones than women of other racial ethnicity. Obesity: some research studies are being conducted to determine a link, if any. Oral contraceptives: strong data exists to show a link between women that take birth control pills or hormone therapy, have a stronger chance of developing uterine fibroids. 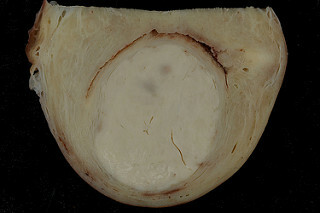 Uterine fibroid symptoms and causes is a topic which requires further research in order to understand more completely. If a woman has uterine fibroids, the condition needs to be treated and managed under the supervision of a skilled medical professional. Following the advice and instructions of a medical doctor allows a woman to live with uterine fibroids and not experience any adverse effects and can protect her health and fertility.